Gain Gas Bar in Ft. Erie, Ontario, on Ontario Route 3. Taken June 27, 1976 by Walt Wimer. 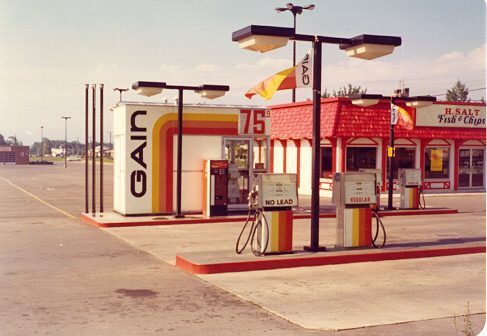 Gain was a secondary brand for Imperial Oil (Canada). Not sure when it was phased out, but it is long gone.